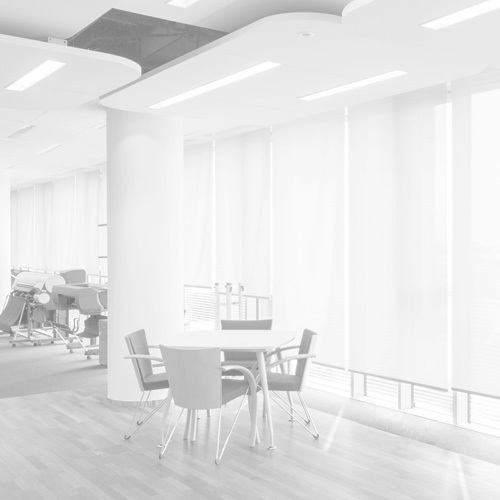 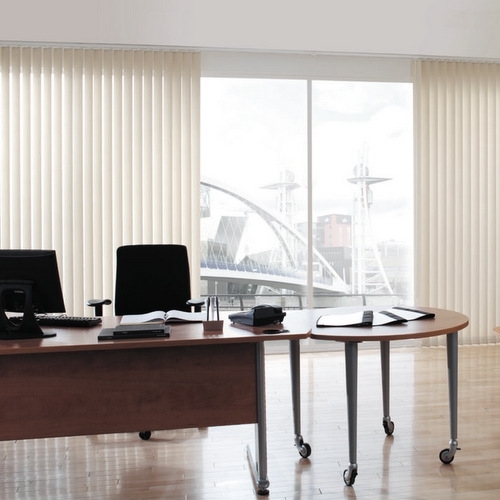 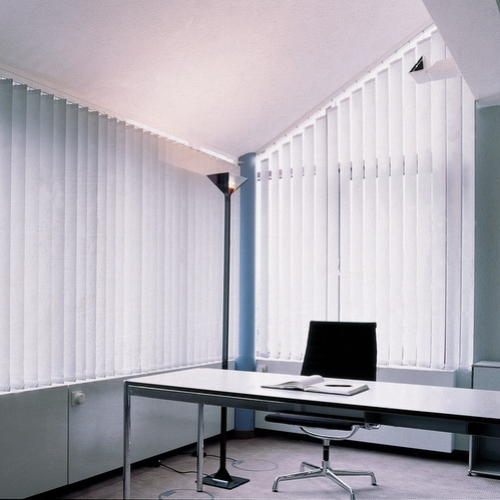 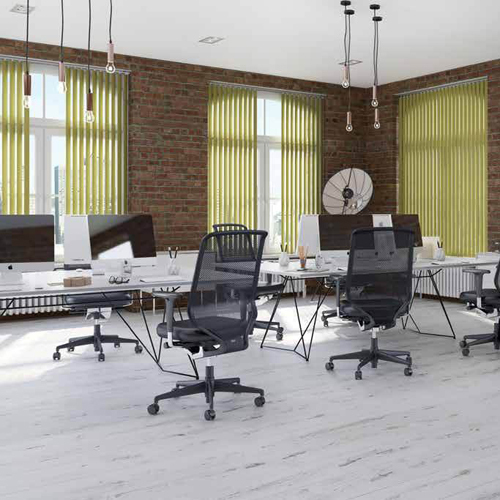 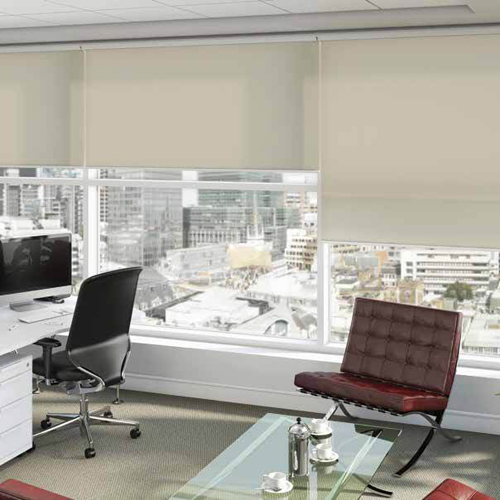 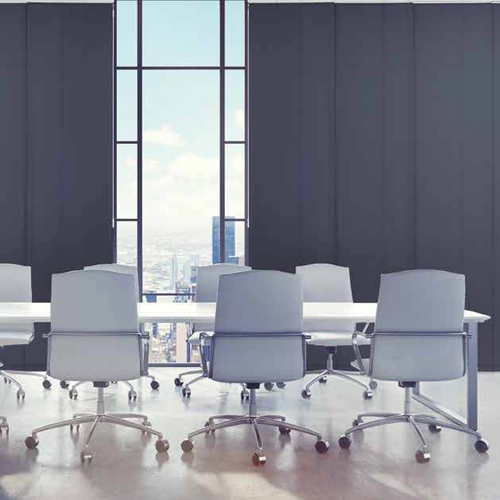 Easy to operate and maintain, vertical blinds are a popular and practical choice for the workplace. 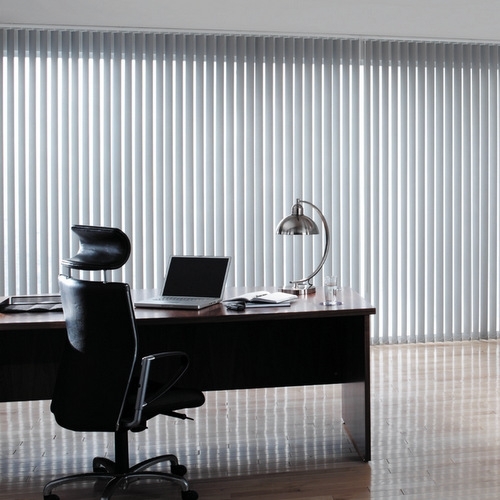 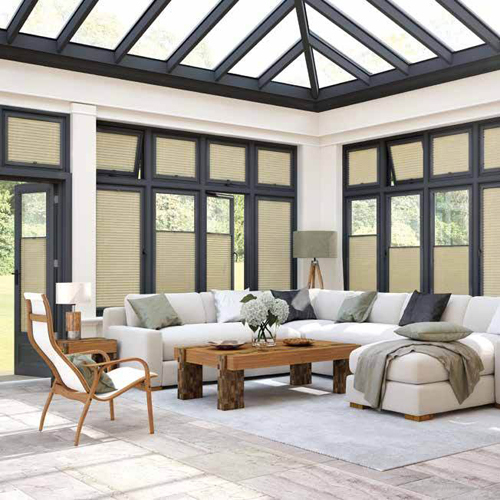 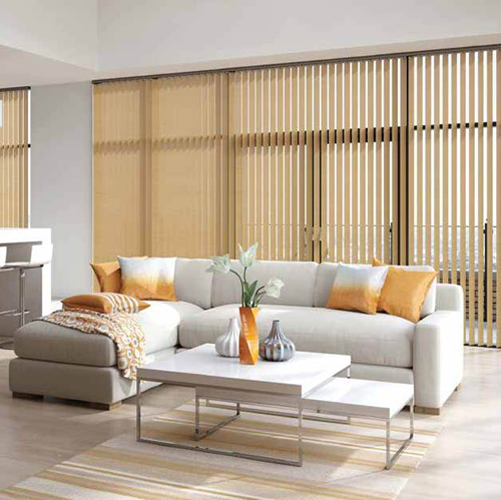 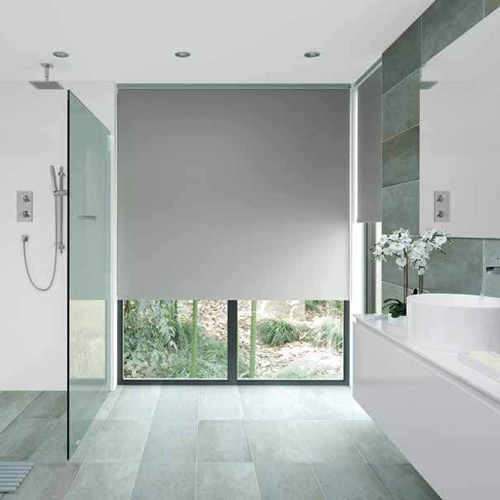 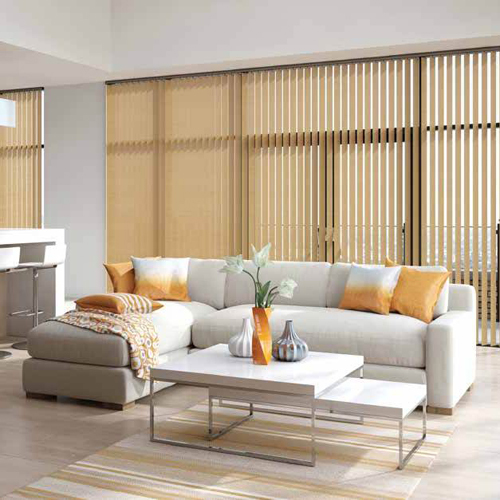 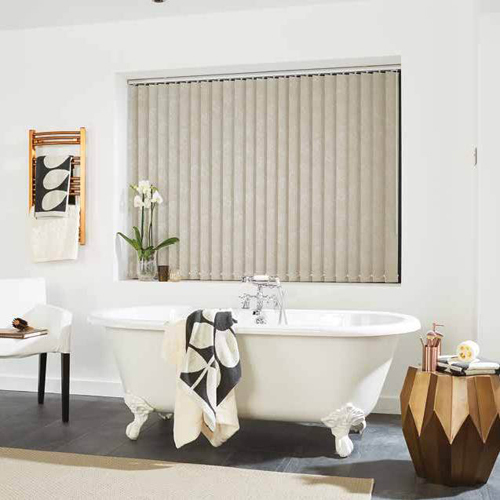 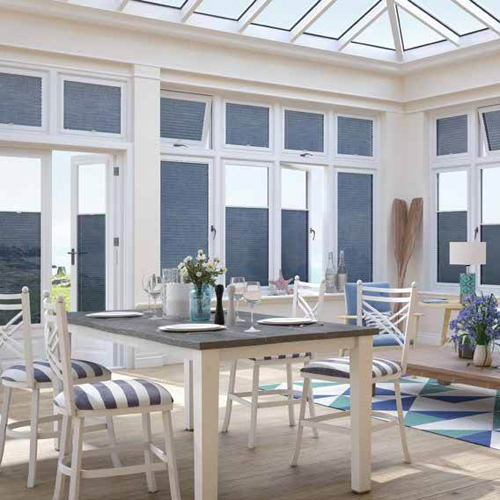 Vertical blinds offer superb control over how much light is filtered into a room, providing privacy and protection from glare whilst still permitting a view of the outside. 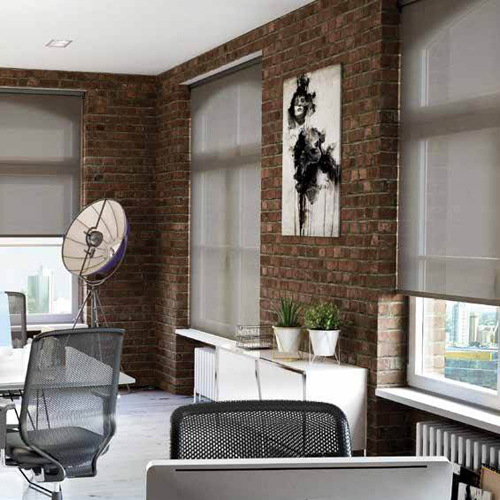 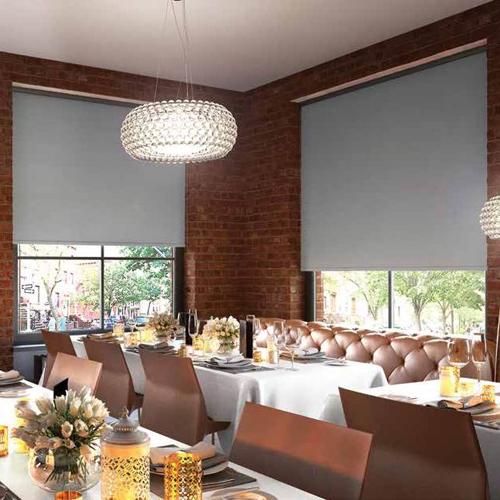 Our vertical blind fabric range comes in a huge colour selection of plain and patterned designs, with 89mm or 127mm vanes. 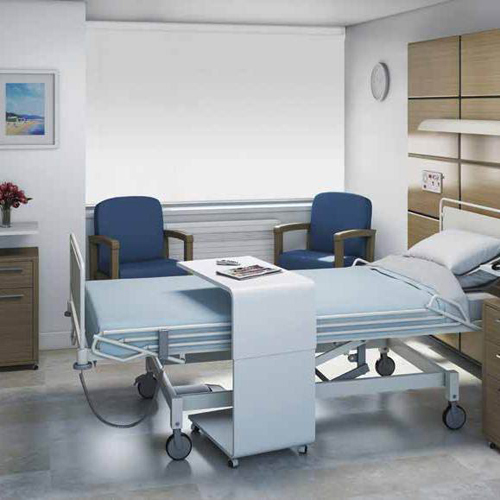 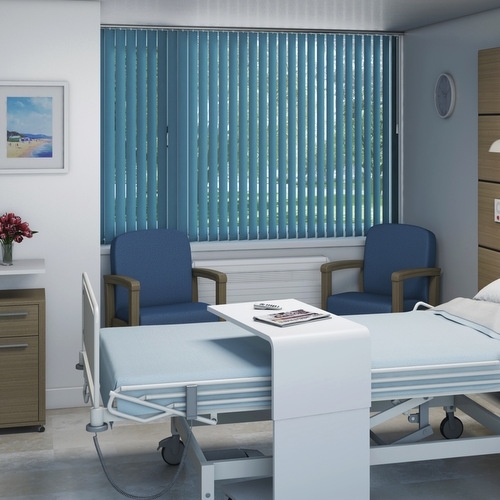 We also have a range of headrail colours including white and brown powder coated, silver anodised or polished black and champagne. 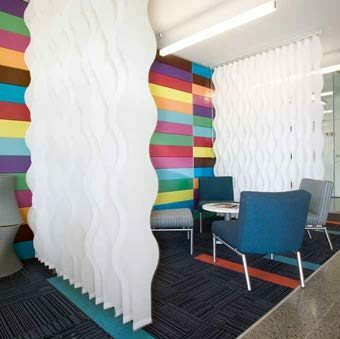 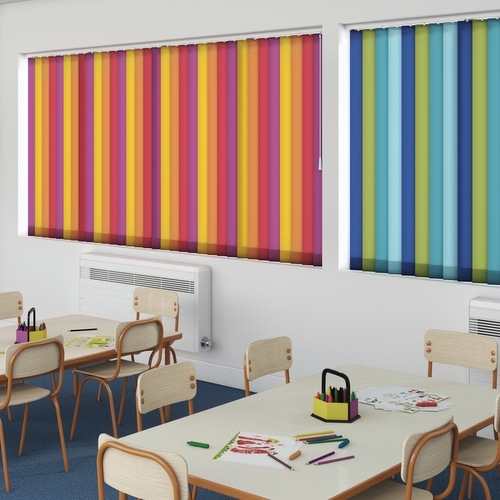 We always install flame retardant fabrics in the commercial, education and health sectors. 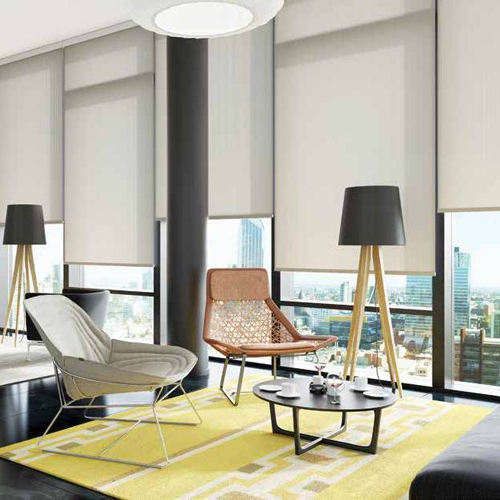 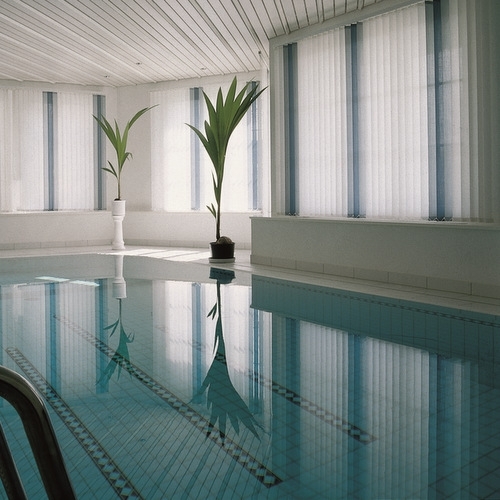 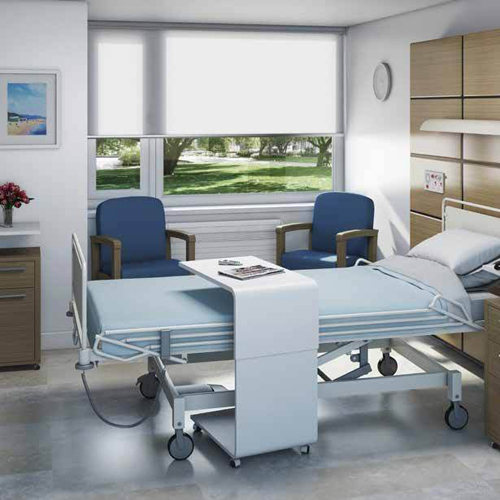 Many of our fabrics also boast additional properties including anti-glare, heat reflection and anti-microbial treatments.